There are a some great all inclusive resorts in Belize and in recent years they have grown in number and quality. We've listed the best of the bunch below. Belize is actually not that far south of the Mexican Riviera Maya on the Yucatan Peninsula. The coastal area spans over 280 km of the Caribbean sea and is well known for having the second largest reef system in the world. 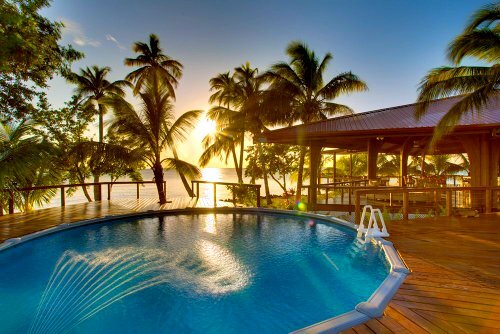 The best Belize resort options are located either in the jungle to the west, or close by the reef area along the coast. Many say it is worth fighting the peak season crowds to take advantage of the dry sunny weather. This season from November to April is also the time when you can expect all the top attractions and facilities are open. If there are not any Hurricanes around in the fall this is a time to pick up a good deal although the rainfall levels also increase during this period with some heavy showers expected to cool thing soff. See also: Argentina, Belize, Costa Rica (luxury), Costa Rica (Inclusive), Mexico, Panama, Roatan. You'll also find the video on most resorts and be sure to look at the Travelers Top 25 Belize resort deals. This resort is a Tripadvisor award winner on the reef in San Pedro. If you want to fish, especially fly-fish, this is the place for you. Snorkeling and diving are great here, kayaks, bikes and paddle boards are all included. The villas have direct access to the beach and look stunning. Reviewers of this resort almost always mention the great fishing. The food has also been described as great by reviewers and is generally Caribbean food. See the latest reviews, prices and get more information on El Pescador Resort here. 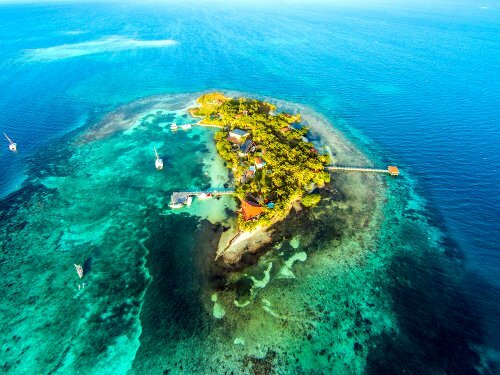 If the words secluded, fishing, diving, reef, private, few guests and unspoiled appeal to you, definitely give this all inclusive resort a look. They have quite a number of packages available: honeymoon, family, wedding and inclusive package deals. 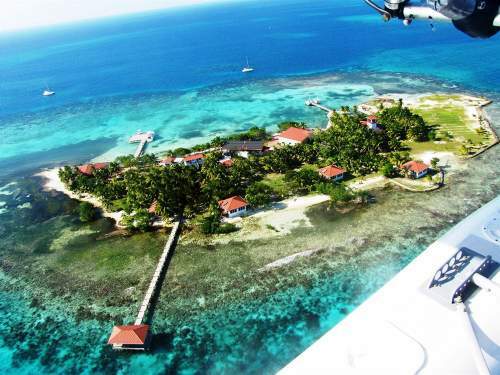 More on Hatchet Caye Resort here. As well as all these great all inclusive resorts, you may also like to find out what the best resorts in Belize are. 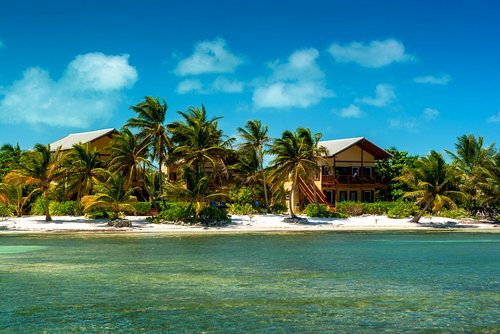 See all the top Belize hotels with special offers here. 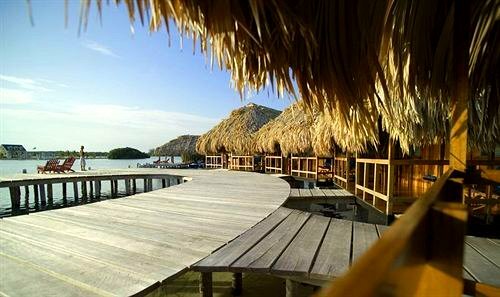 Almond Beach is another of the all inclusive resorts in Belize that has found it's way onto our list. Past guests all seem to mention how peaceful and tranquil it is. The staff are reported to be great also. 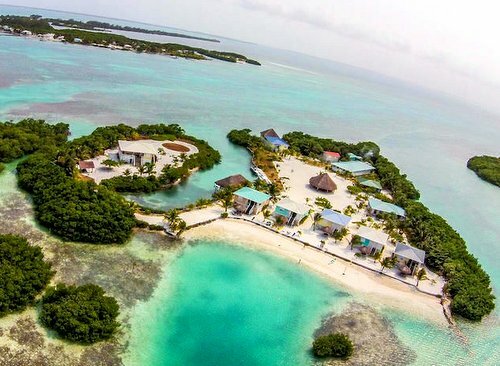 This resort has won a number of awards, is close to Mayan ruins, a number of Belize national parks and of course has great fishing and diving. More on Almond Beach Resort here. This great Belize resort is located only a mile from the reef, and really quite close to the capital (less than 10 miles). They have some pretty impressive all inclusive packages available. The food is "not fancy" but instead caters to local ingredients with an emphasis on fresh and uncluttered palates. Around the resort there is also enough to do with water-skiing and the beach activities popular. The resort has a quality spa and they can also arrange your tours into the nearby Maya sites, enjoy cave tubing, cave experiences, horse riding, or the butterfly farm. This resort also lets you enjoy their sister resort in the Cayo district. This resort is getting great reviews from guest who are loving this private island paradise. It's noted for it's hospitality, being a private island and has bungalows right on the water. See more information and reviews on Royal Palm Island Resort. 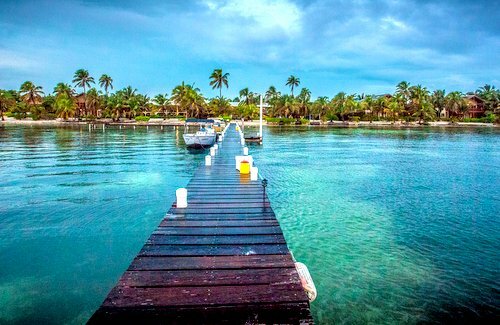 Great meals, and supportive and wonderful dive masters in a relaxed entertaining location make this one of our top inclusive choices for Belize. Desert islands, crystal-clear waters, will make this a kayaking holiday in Belize to remember. Enjoy a week of island-hopping and explore the second-largest barrier reef in the world. After 4 hours paddling you have plenty of time to relax and do other activities, such as snorkelling. This all inclusive resort is nestled in 21 acres of rare coastal forest. A day trip away from Mayan ruins, caves, jungle rivers, birding, horseback riding, rainforest trekking, snorkeling, diving and fishing. Lots to do! The Hamanasi folks specialize in guided reef and rainforest adventures while maintaining a luxury resort atmosphere and facilities. 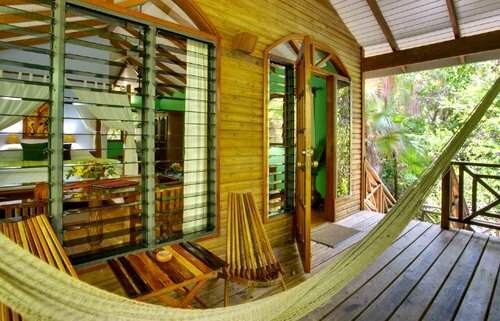 Rooms: Tree houses, beachfront rooms or honeymoon suites with handcrafted furnishings, AC and private porches. This resort has gotten excellent (nearly perfect) reviews for years and years. It must be good as that is unusual! Guests like the romantic private cruise along the beautiful Belize coastline while sipping wine, knowledgeable guides, and reef diving. 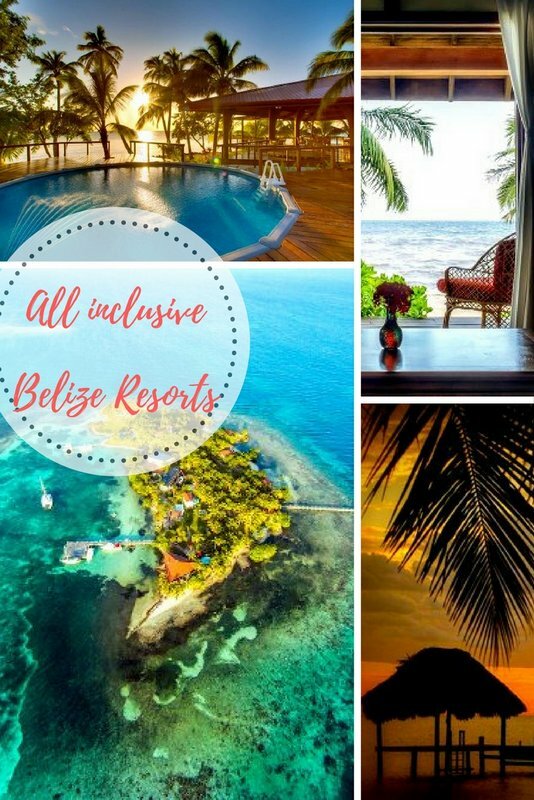 These luxury Belize deals allow you to stay at a luxury resort with lots of inclusions at a very good price. 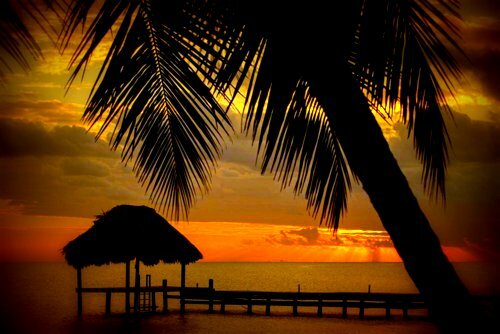 Click the link right for the Belize vacation deals. Lots of great all inclusive resorts in Belize. 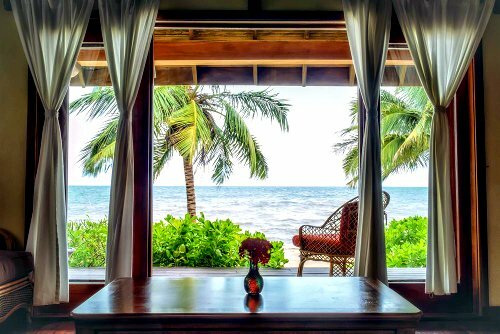 This outstanding eco-friendly all inclusive resort is in southern Belize on 1,300 feet of private beach. It was recently voted one of the top 100 in the world (Conde Nast)! Amenities include water sports, eco adventures, Mayan tours, canoeing in rivers, and waterfalls. Guestrooms are 25 separate, individual air-conditioned cabanas. For a mid-range price you can stay at a resort that receives over the top praise. Reviewers love the clean beaches, great diving and snorkeling. Honeymooners really loved the quiet romantic setting. It has real jungle and some say the nicest beaches. This is one of the best all inclusive resorts in Belize if you want some adult time. Coco Plum have become an adult only resort with an emphasis on romance - perfect for a honeymoon. This resort is on a private island with 14 ocean-front cabanas so it's not too big. They have quite a few different packages on offer like: all inclusive, fishing, honeymoon, no frills (don't often see this one), diving and more. This resort consistenly gets perfect reviews (which is quite amazing). For more information and to see what people are saying about Coco Plum Island Resort. 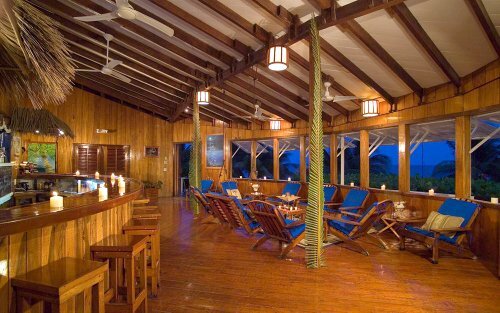 One more resort we should mention is Jaguar Reef Lodge. It was formerly on our list but it is no longer all inclusive. It is still a fantastic resort and gets really great reviews. It has a whole 7 miles of white sandy beach! Find the best deal for your dates (or flexible dates) here with Belize Accommodation Deals. Also, take a look at the different resort spots to the top right. Some are all inclusive and some are in the Central American region and offer similar experiences to Belize. Still stuck? Take a look at Travelers Top 25 Belize resort deals.